We are incredibly excited to debut The Dropship: The 100 Podcast here on SciFi Mafia, where all future episode links will also be posted. 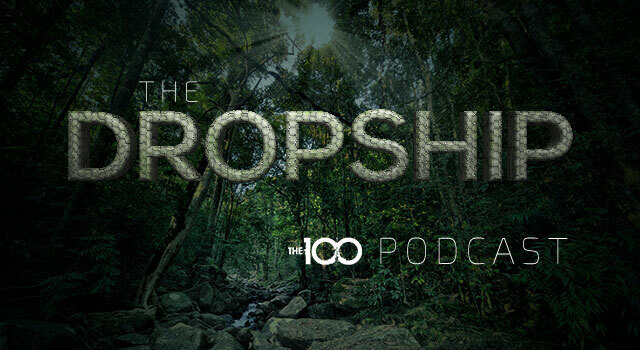 This is Episode 1 of The Dropship: The 100 Podcast, dedicated to The CW series The 100, hosted by AJ Mass and Jo Garfein. We spend just over an hour and a half revisiting our favorite moments from Season 1 and Season 2, sharing our analysis of specific characters and scenes along the way. Click HERE to listen to Episode 1, now available on iTunes! The second episode of the podcast will feature in-depth Season 3 speculation and theories (likely to run 2 hours, but regular season podcasts probably won’t be as long)! We aim to record and share Episode 2 of The Dropship: The 100 Podcast before Christmas. Although we are unable to commit to a set schedule right now for 2016 once Season 3 of The 100 begins, our plan is to record a new podcast once a week within a few days after new episodes air. We have plans in the works to feature podcast guests from The 100 writing staff, and lofty goals to invite cast members on as future guests as well!